Science's Less Accurate Grandmother: Review: Transformers, Volume 10 by John Barber, Andrew Griffith, Livio Ramondelli, Priscilla Tramontano, et al. 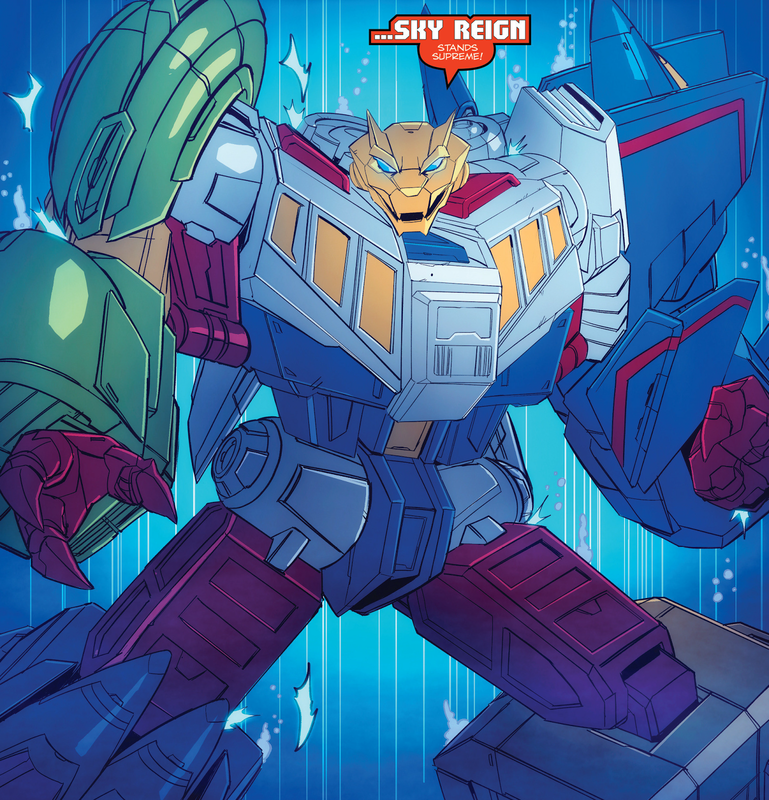 Review: Transformers, Volume 10 by John Barber, Andrew Griffith, Livio Ramondelli, Priscilla Tramontano, et al. In this volume (which has "All Hail Optimus" on the cover, but not the title page, but finally does drop "The" from the title page even though it disappeared from the cover with volume 7), Optimus Prime essentially annexes the Earth in order to protect it from Galvatron, bringing it into the Cybertronian Council of Worlds that was established in Windblade: Distant Stars. This could be interesting. People wonder if Optimus is doing the right thing, or if he's turning into a conqueror like the Primes of old; Camiens, on the other hand, wonder if Optimus is really a Prime after all, given that he no longer bears the Matrix. At no point in reading a Transformers comic have I ever thought, Thank God they added yet another combiner. But what happens? Does the story examine this stuff? Instead, Optimus stands around in a desert a lot, reacts to what the humans are doing, and the whole thing ends with (what feels like) the one millionth fight with Galvatron, who in his brief run as this series's principal villain, has already been around too long. Plus it just feels like Barber is shifting gears to set up for the next storyline (Titans Return), even though this one never actually took off! 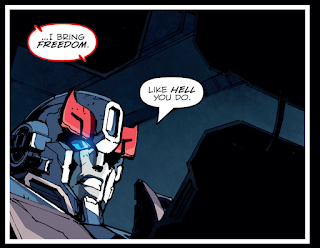 That's right, Prowl. Do nothing. Nothing at all. At the beginning I was worried that Prowl was going to be in it, but thank God it just turns out to be a one-issue cameo. Next Week: Meanwhile, on Cybertron... Windblade learns that there are lot of challenges to be overcome Till All Are One!